It's a GAME! It's a PUZZLE! 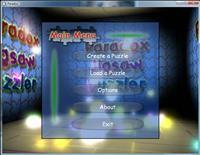 It's a REALISTIC WORLD, with GRAVITY, COLLISIONS, BOUNCING Pieces and hours of FUN!!! 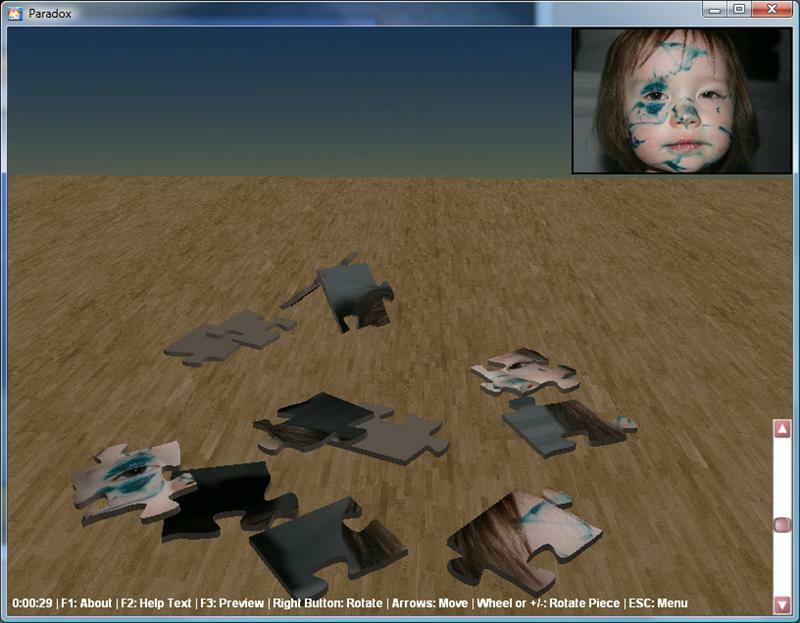 Use any digital picture and turn it into a simple or very complex jigsaw puzzle with any number of pieces. 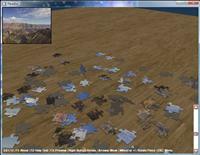 Then drop your pieces onto the floor, and watch them bounce and scatter. Now comes the fun part, putting it all back together. Don't worry if you can't get it finished, you can save your work for later. Direct3D 9/10 for fast game play. True physics for realistic motion of pieces. Adjustable number of pieces for increased levels of difficulty. Use any BMP, JPG, or PNG photograph. Save the puzzle game for later. 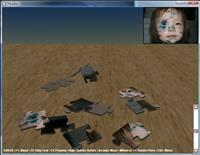 Easy mouse movements for navigating and placing of puzzle game pieces. 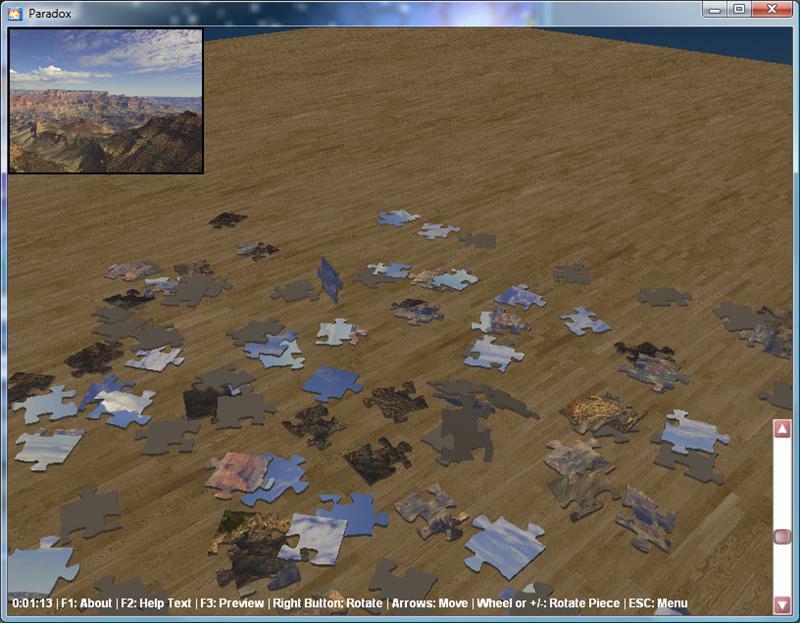 Pick up individual pieces, connected pieces or the whole puzzle and place it in another location. 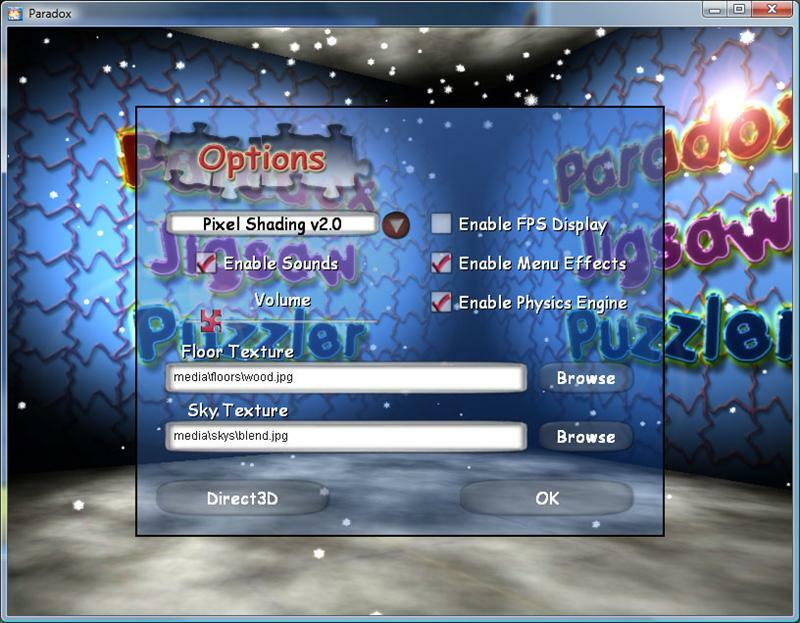 DirectX 9/10 (March 2008) or newer.